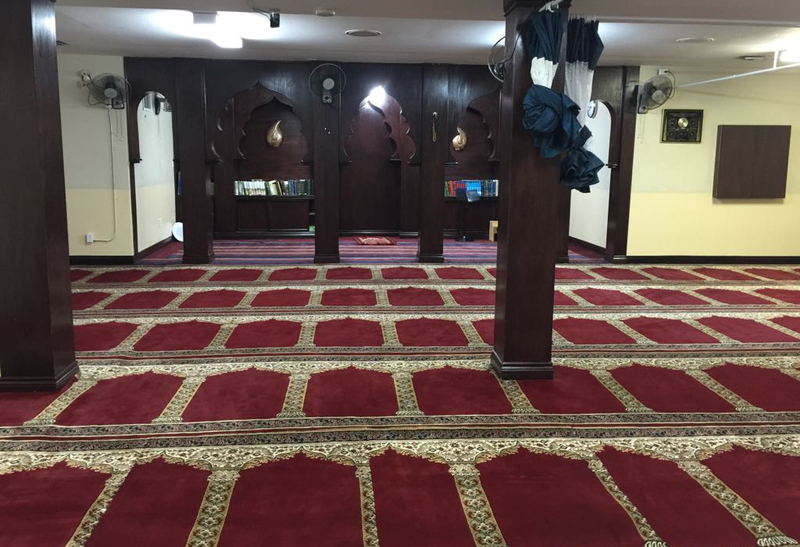 Isha'a – the night prayer. Friday 9:00 PM -12:00 PM. 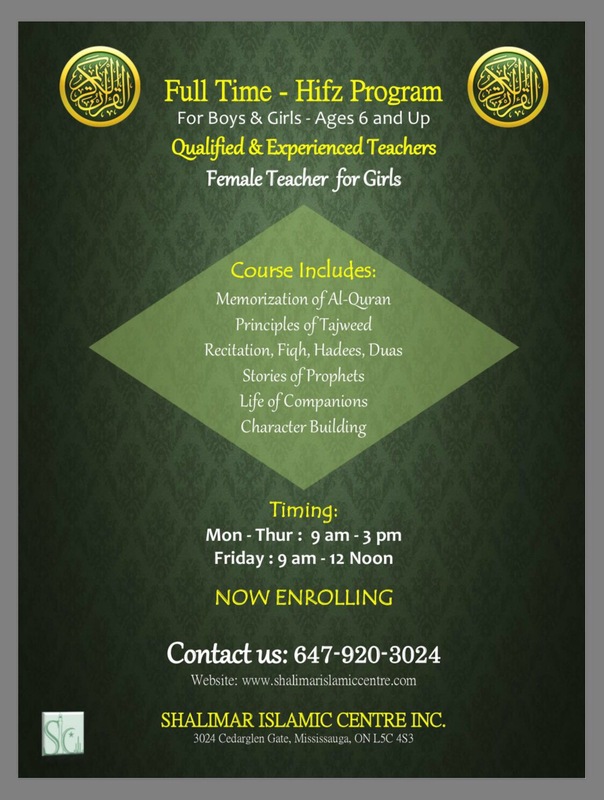 For boys and girls Memorization of the Quran taught with Tajweed. Monday to Thursday 4:15 PM - 6:30 PM. 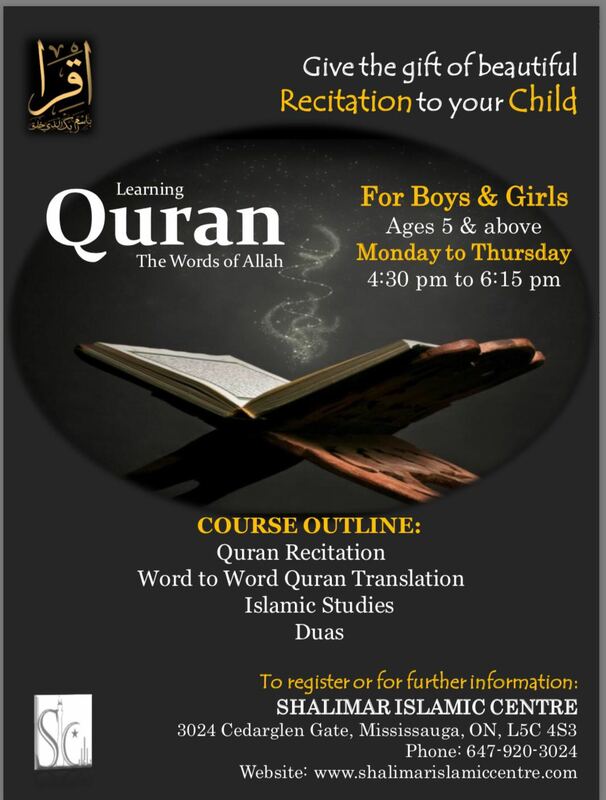 Word to word Tafseer program for boys & girls age 13 years & up. Saturdays & Sundays 10:00 AM - 1:00 PM.